Here’s a secret: if you want to change your floors, you don’t have to endure massive renovations by starting from the very beginning. In fact, old boards can be refreshed from what you once thought were unsalvageable to floors that look completely new. D.R. Main Floors recently completed a make-over project in West End, Brisbane to pine timber floor boards that had been coated in Black Japan. If you’re unfamiliar with Black Japan, it’s not exactly the easiest coating to remove (to say the least). Black Japan not only causes the timber to age at vastly different rates but it also requires a far more abrasive sandpaper to get rid of it than a regular coating. As you can see in the image, the floorboards in the hallway look completely worn down and tired, with scratches and discolouring over them. Looking at them, it might have seemed just as easy to get rid of them completely and start from square one. However, through sanding the timber and finishing them with a fine sand and semi gloss finish, we were able to give the boards a complete refresh. It may look like an easy job, but the stunning outcome for the flooring is guaranteed by the over 25 years that Glyn has been working in the flooring industry. It’s quite evident the owners were astounded by the transformation that occurred to the flooring, with such little hassle. If you have a similar improvement you can envision for your floors; then we can begin the change you want to see. DR Main Floors are fantastic. They have done our whole family's floors for a number of years now and they always do an excellent and professional job and we couldn't be happier. We recently had our old pine floors polished and they look so gorgeous I wish we'd done them earlier. 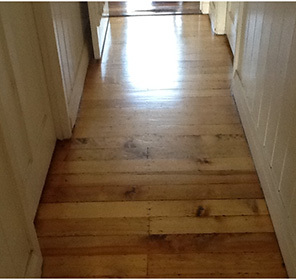 Thanks to Alison and Glyn for such a beautiful finish to our timber floors. We have used DR Main floors three time in the past 15 years and have always been very happy with the results. DR Main Floors were friendly, efficient and professional. Our decks look amazing! A very professional and friendly team - Alison with her product advice and Glyn with his workmanship. We are very happy with our beautiful floors and we highly recommend this business. Lesley and Mark. I'm not normally one to leave reviews but we had such a positive experience using D R Main that I'm happily writing one now. From the get go Alison and Glyn were helpful, informed and reliable. We had a slightly unusual situation because I was pregnant at the time of our floor polishing and so safety and speed were of high priority to us. Alison and Glyn delivered on safety and speed without compromising on quality. They really did their very best for us and the final look of the floors exceeded our expectations. We couldn't be happier with the results. We've had our floors done twice with DR Main - once a full "sand and coat" one re-coat following further renovations. Honestly could not speak highly enough of Glyn's work - he is an absolute master of his craft. Alison and Glyn provided exceptional customer service and an absolutely fantastic result on our recent kitchen & dining renovation. We would happily recommend them and the floors have come up so beautifully we want to polish the whole house! Fantastic company. Everything went according to plan. Fantastic result, professional and quite reasonable cost. Will have them do our deck next. D R Main Floors did an amazing job sanding, filling and polishing our floors. We removed a mix of carpet, tiles, and cork flooring to reveal hardwood Brushbox timber underneath. Alison and Glyn were supportive throughout the whole process, very patient (we had a lot of delays in our renovation) and did a fantastic job. We will definitely use them in the future if we ever need floor polishing completed again. D R Main were great to deal with from the start. Alison came over and explained everything while quoting and bought samples of finishings with her. Glyn started the work on the day he was booked and finished when he said he would. The floors look spectacular - I had no idea they could look that good from their former state. I would happily recommend D R Main floors to anyone looking for quality workmanship. Alison came round and talked us through the options and the best way of sanding and polishing our 100 year old timber home full of furniture. Very helpful and reasonably priced. She easily persuaded me to get the two decks oiled. Glynn turned up when he said he would and worked for as long as he predicted. His advice on closing doors and windows, and how to treat the new surfaces, was clear and sensible. The finished work was perfect. The wooden floors gleam and the decks look better than ever. I have hesitation in recommending them. We have just had our floor boards restored by Glynn and his team and whilst I was really dreading the whole experience, I have to say, not only do the floors look absolutely amazing (having been neglected for 20 + years) but the mess was minimal. Glynn completely explained the costings, the process, time line etc and everything was well above our expectations. I have heard so many horror stories from friends about their experiences with timber floors being restored but we'd have no hesitation giving the DR Main Floors the highest recommendation. Thank you so much. Great service - and no wonder you've been around so long. After 30 years of living with carpet, starting from the staircase through to all the upstairs of our home, it was a huge decision to rip it all up and restore the original timber floorboards. Glyn, Alison and the team were very obliging and professional during the whole process, which caused very little distribution to our lives. Nothing was too hard or too inconvenient for them and end result was absolutely amazing, we will never have carpet again. My wife and I would highly recommend these guys to anyone!! Part of our decking is undercover and the other part is out in the weather around a pool. It was looking really bad after years of us basically doing nothing to maintain it. We were recommended to DR Main Floors on a local Facebook page and are so greatful to have found them. Alison came out to quote and we accepted straight away. Her knowledge was fantastic (not just there to measure) she actually showed me why it needed sanding back / nails would need punching down etc and what the best product would be to use. Glyn then came out and completed the job. Whilst the weather did not help, Glyn would still turn up every day to check / give it a go if possible. Within a week they had completed the job and it looks amazing. They also offer a reminder service to remind us and come out and maintain it as required, we will definitely leave it to Alison and Glyn now to keep it maintained! 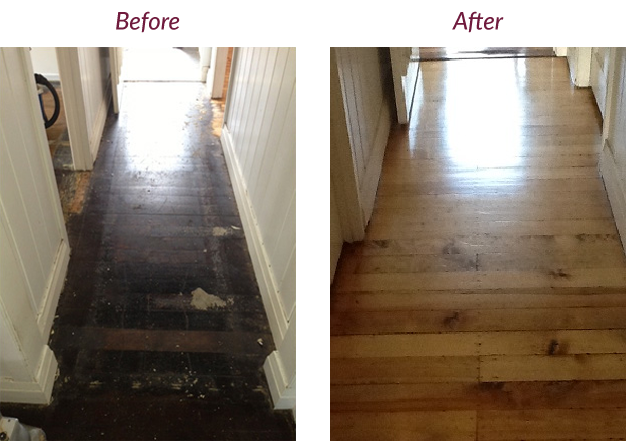 DR Main floors polished the entry hall and master bedroom in our 100+ year old Queenslander back in 1997. That job still looks like the day it was done. We recently asked them to do the remaining floors and two verandas. Done to perfection again. Glyn always turns up when he says he will and only the weather will stop him doing outside oiling. Alison is always eager to help with quotes and choices of floor finishes. Thank you! Excellent to deal with, prompt service and a great finish on my back deck.